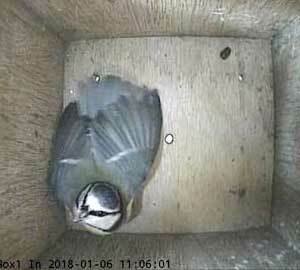 We've still not had any bird interested enough in Box2 to go inside it. Meanwhile Box1 looks as though its ownership is still in dispute! 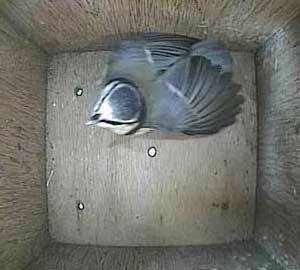 Some years ago, we had a bluetit which seemed to spread her tail more than normal so we called her Fantail. 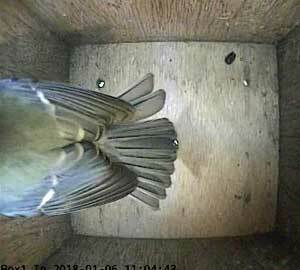 Perhaps we should call this bird Splittail? In any event, the ownership of this box is still in dispute as the following sequence will demonstrate. We start with the bird inside demonstrating in the entrance to 'his' box. And here you can see why he is making such a fuss. 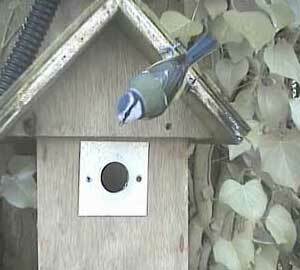 This goes on for some time with the inside bird continuing to make defensive actions - and no doubt defensive noises as well . . .
. . . whereas the bird outside tries to look closer inside the box. 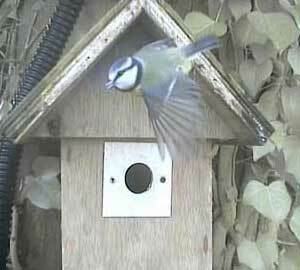 Finally, he decides he has had enough and flies off . . .
. . . leaving the bird inside shouting at himself. 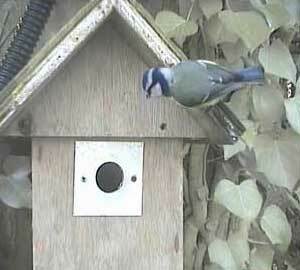 Eventually, he decides the threat has passed and leaves the nest box. 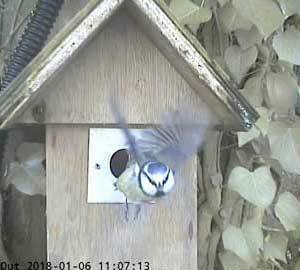 I'm sure we shall have many more such sequences before nesting starts!